Self Cure Remedy details of Drink chamomile tea for the care and relief of Insomnia, including effectiveness and popularity scores of the remedy. Chamomile is excellent for individuals who are sensitive, restless and irritable. Its slightly sweet flowers will soothe digestion and are mild sedatives. Seep a chamomile tea bag in steaming water, wait for it to cool down and drink. 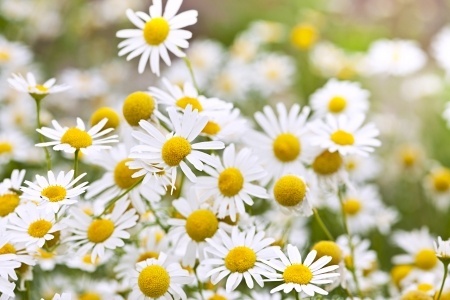 Chamomile should be avoided by those with a ragweed allergy. The self cure remedy of Drink chamomile tea for the care and relief of Insomnia has a popularity score of 0 on the self-cure system.